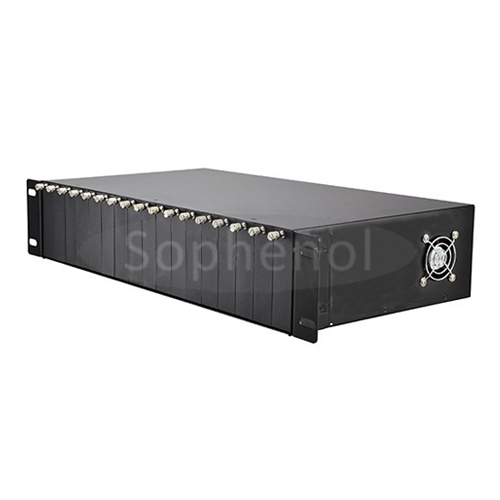 The Chassis-based Media Converters include a number of independent media converters and a chassis capable of housing up to 14 media converters. You can start with single media converters, each equipped with its own housing and AC power adapter. When your requirements grow big, you can mount a chassis in your equipment rack and install your media converters in the chassis. 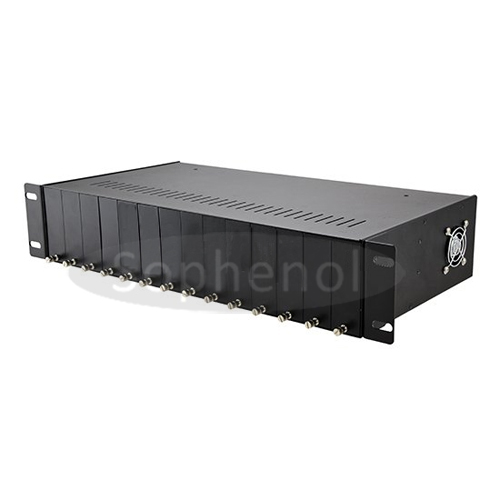 The housing of each media converter can be easily removed, and the media converter PC board can be slid into the chassis.